My family cannot live without tea. Specially my mom-in-law never refuses to sip some tea and happily calls herself a 'tea-addict'. But the good thing about her addiction is that she is not as such sticking to usual tea, but is always excited to try new flavours. As colder days are making our bones freeze, I offered her to taste Natural Ally Lemon Herbal Tea to which she instantly agreed ;) So here is how we both liked it..
Natural Ally Lemon Herbal Tea is actually a premixed powdered tea that fits in our busy lifestyle perfectly. Many of us are either go out to work or have something at home to keep us occupied most of the times. So this premixed lemon tea just needs to be mixed in boiling hot water and enjoy. Unlike the lemon tea from most brands that I have tasted, this one is not a classic citrusy flavoured tea. There are many herbs and spices in it other than tea, rock salt an sugar. Cumin Seed, Dry Ginger, Mint, Clove, Basil, Cardamom, cinnamon etc. give this lemon tea a stronger blend that refreshes and energizes you instantly. The tasty premix not only helps in digestion, but is an excellent antioxidant also. Even this healthy blend of herbs makes this tea a good option for diabetic people who crave for tea and need an alternate. 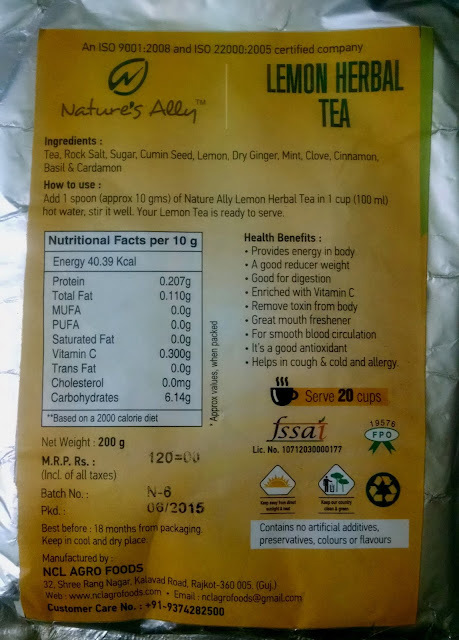 Few sips of Natural Ally lemon tea can be given to children to relieve them when suffering from cough and cold. Since it doesn't tastes like usual tea so those who like flavoured drinks would definitely like it. 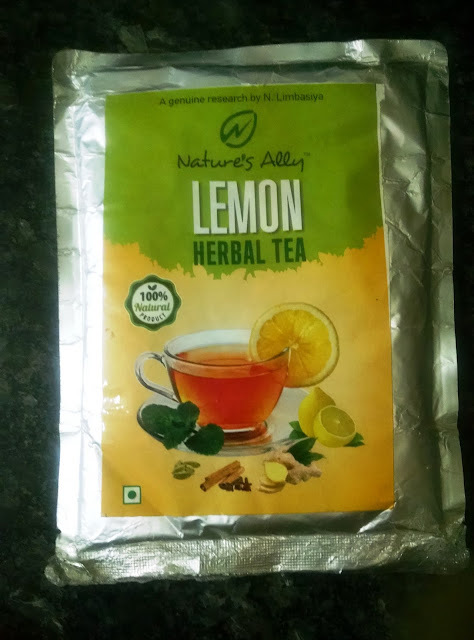 You may also start your day with Natural Ally's unconventional lemon tea if working towards reducing your weight. You may enjoy all these health benefits by ordering the lemon tea from Vedantika Herbals website. You may find two pack sizes. The one in 200 gm quantity is for Rs 120 and the other pack size of 500 gm is for Rs 250. I love hot sweet lemon tea. I do not drink tea ususally but love the way lemon tea smells and tastes. 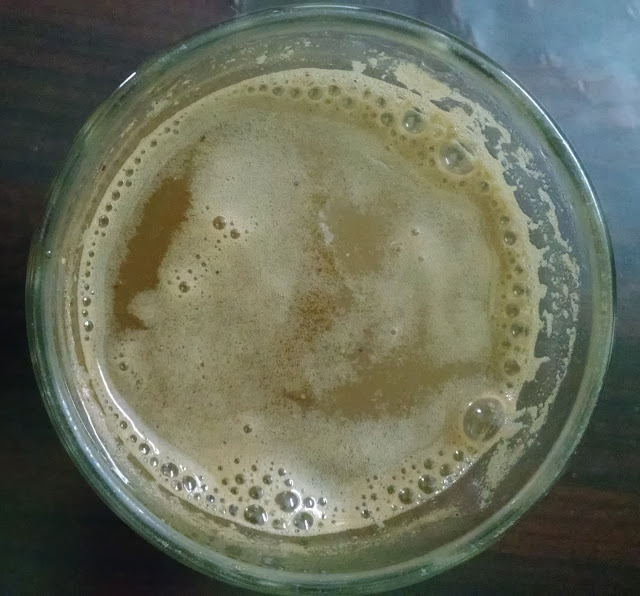 These days I am suffering from heavy cold and using lemon tea to get relief. I love tea. Will definitely check this out.